Please note: These shackles will NOT lower your Caddy! 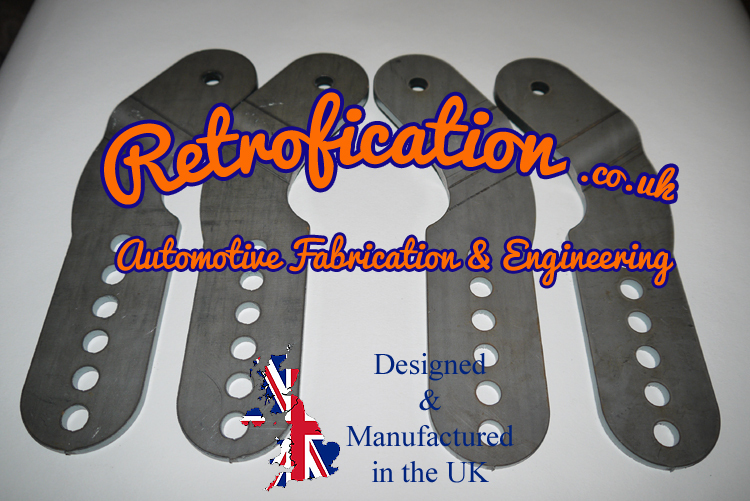 They are used once the rear is lowered to be able to raise and give you an adjustable ride height. 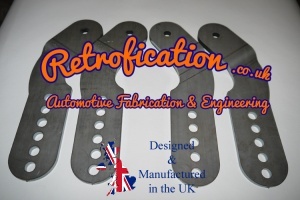 If you want to lower you Caddy then please see our other listings for our weld on spring saddles & shackle combo. So when you would use these shackles? In 99% of cases when lowering the MK3 Caddy (2K) with an "axle flip" the suspension will need raising up again to make it remotely drivable! We recommend the 6 hole for the SWB and 8 hole for the Maxi & life models. You can use the 8 hole on the SWB if you require the extra height. 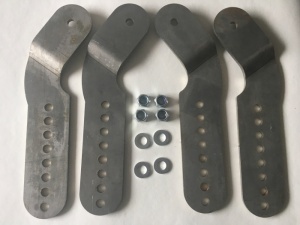 Now available are our offset weld on spring saddles for the MK3, these will work in a very similar way to our popular MK1 & MK2 saddles that we have been selling for many years. Not only will these saddles keep the wheels central within the arches (unlike all the commercial kits), they will also save several KG's in unsprung weight, which is a first for MK3 Caddys.